Stella and a Mathematical Star, about 1830-1850. 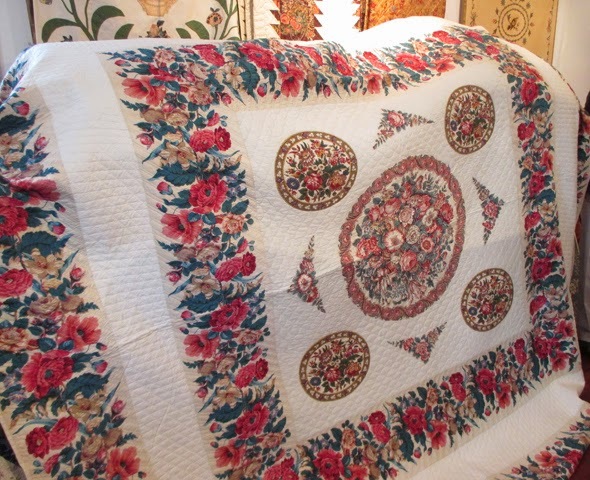 When the DAR Museum was holding their symposium Eye on Elegance last month Stella Rubin added to the attractions by inviting us to her quilt showroom in her home in Maryland. 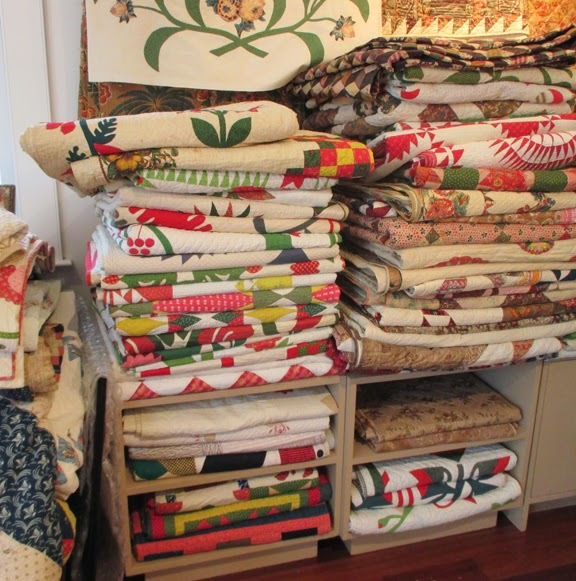 The showroom is piled with quilts. 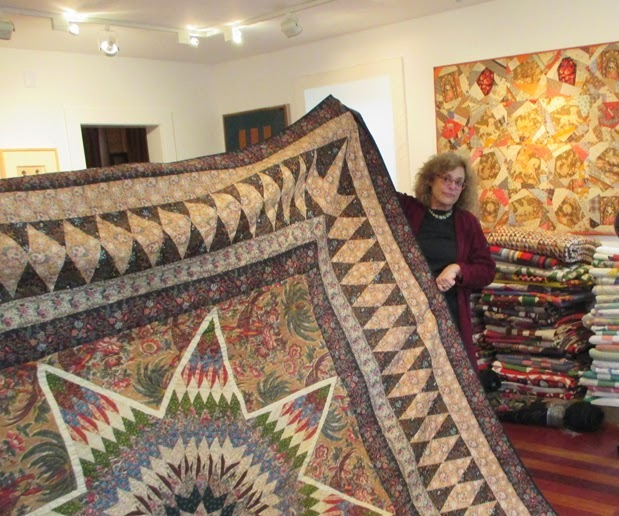 Kim Ivey is sainted with a halo cast by another giant star quilt behind her head. 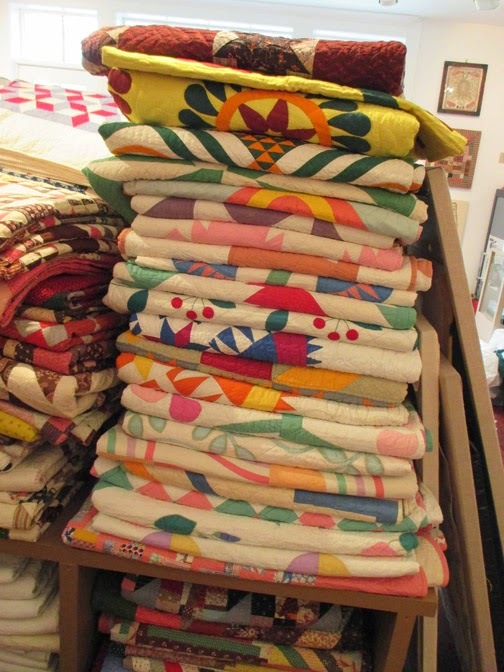 The quilts are in mint condition. Stella has one or two or six of everything. 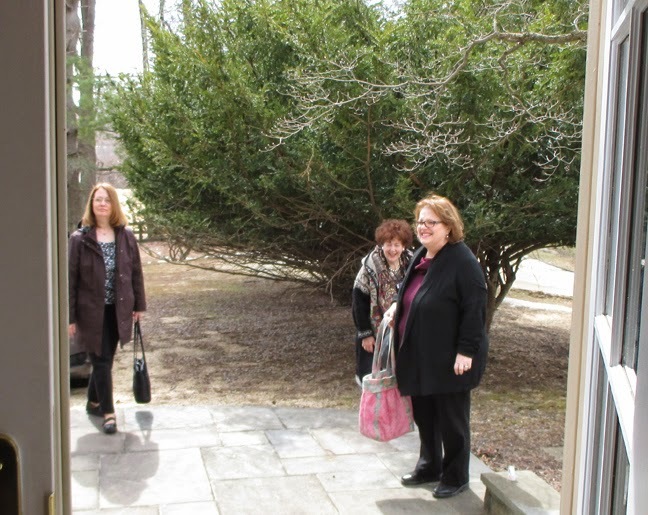 She invited us out in four groups. 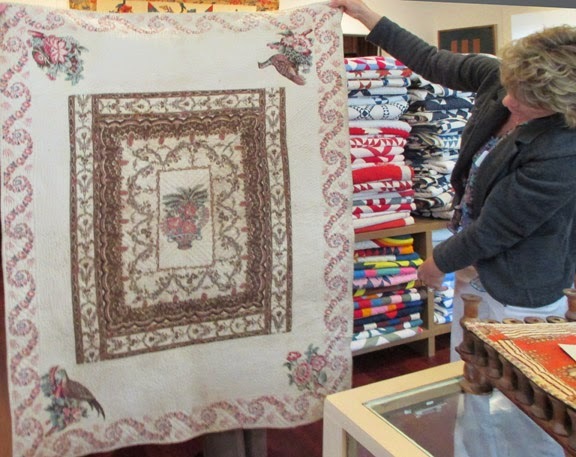 Uh-oh, here comes the next round of quilt fans. We had to go. I've added Stella's site to my bookmarks to drool over later. Looks like a bunch of fun!! 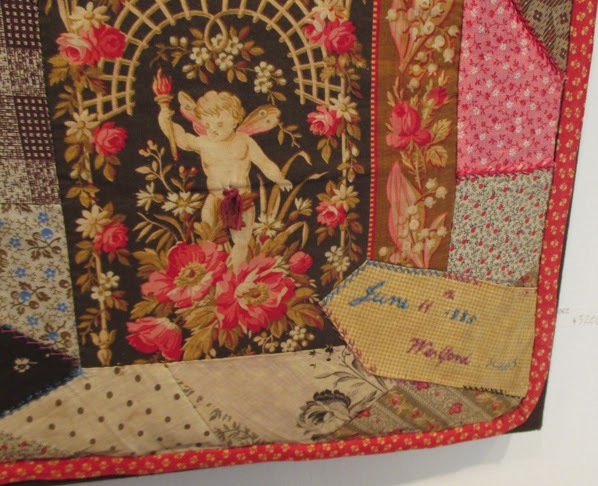 In addition to oogling Stella's quilts I was pleased to meet you there! Be still my heart! What a special opportunity! 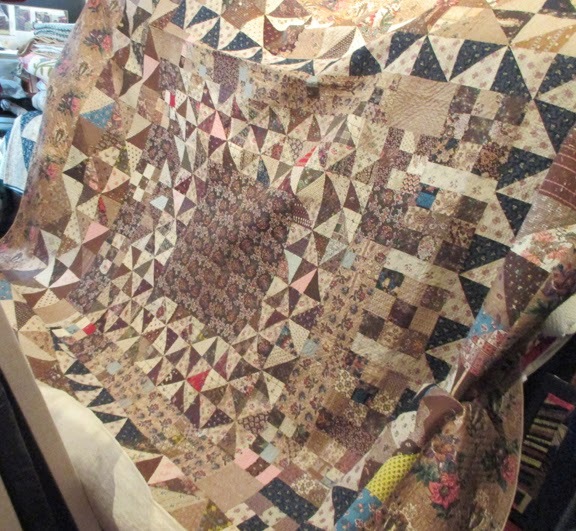 Lucky you, I have seen her quilts online and I can only imagine what a treat, to see them in person. What a treat for you all. 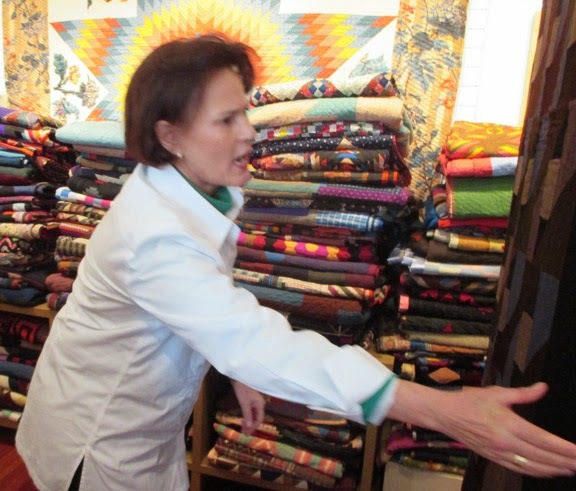 I am surprised that you were allowed to touch the quilts with your bare hands..